Is there a hamster onboard? With a top opening fridge, the biggest challenge is always preventing everything getting squished at the bottom and turning into a prime evil swamp. Also it is impossible to get anything out quickly. We had some hamster baskets (without the hamster) made to fit our fridge. 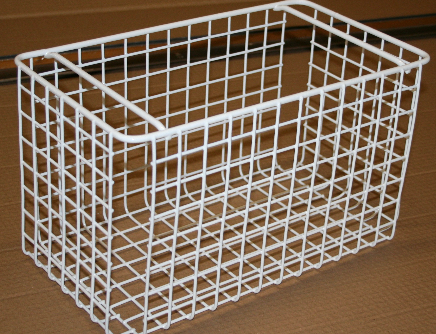 These are wire baskets that sit on each other – it also means we can fit much more in the fridge and still get to it all quickly.